Valentine’s Day, a day set in the calendar to sway our hearts to and fro, and give the best of our love to our better halves. True, one does not need one particular day to prove their love to someone, but sometimes one does feel the extra love on those special days. And Amaya Resorts & Spas takes the time to help you make it intimate. Get lost in paradise this Valentine’s Day as Amaya Beach prepares a fantastic candlelit 5-course dinner for two. 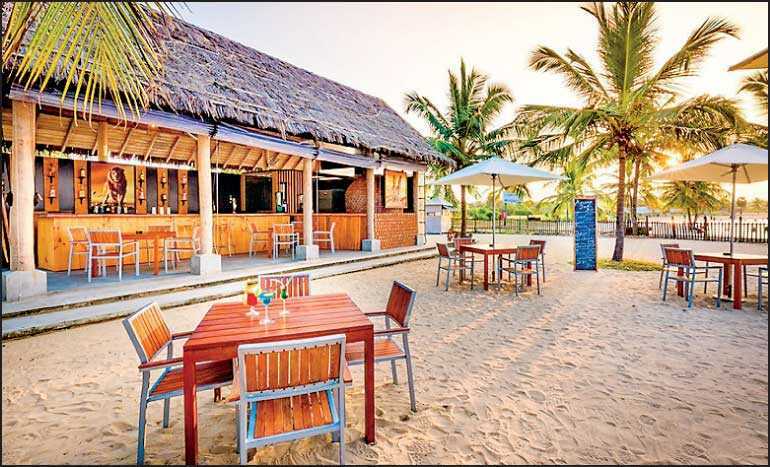 Dine by the beach, listen to some calypso music and enjoy some fine wine on the house with your better half. For the in-house guests, you will have special turn down service with chocolates. Take a walk by the beach and enjoy the skies taking on a ray of colours as the sun begins to descend slowly and sets the evening for a romantic dining experience under the starry nights. Starting at 7:30 p.m. this romantic dinner costs Rs. 10,000 per couple. 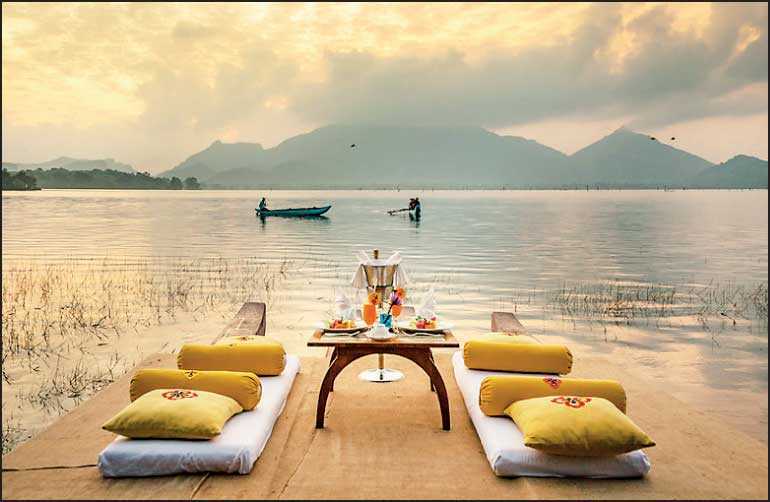 Known fondly as the Palace in the Hills, Amaya Hills has prepared a culinary treat to spoil all lovebirds that have made plans to spend their romantic evening at the breathtaking Rasawasala Restaurant & Terrace. Apart from the beautiful views of the Kandy city and the Knuckles mountain range, another spectacular sight at the Terrace is the sunset. 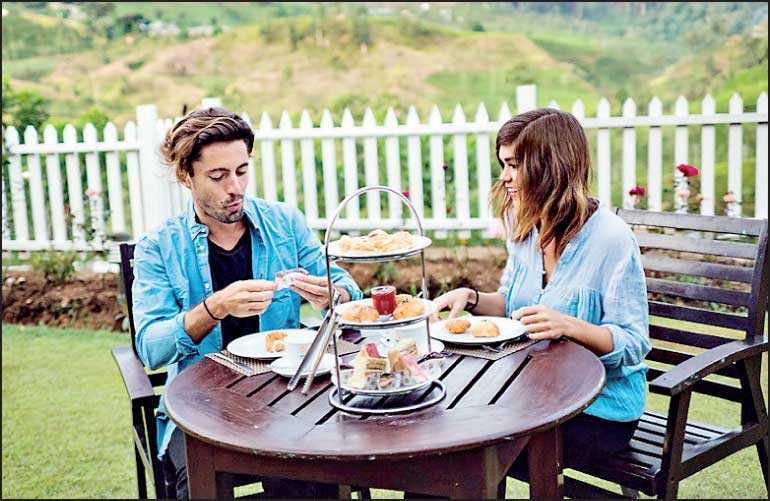 Sip on a hot cup of pure Ceylon Tea or bite into one of their home-made scones as you watch the sun shooting out rates to break off the mists that slowly begin to rise behind the mountains. The Sunset High Tea includes an assortment of savouries and sweets with tea/coffee for just Rs. 950 per person and is the perfect start to a great evening of romance with your partner. Moving on from the High Tea, you get to indulge your partner on either an International Buffet that includes two signature mocktails for Rs. 2,200 per person or a six-course intimate dinner that includes two glasses of sparkling wine for Rs. 3,000 per person. The night doesn’t end just there as Le Garage will be playing some groovy hits, for you to end the night on a very happy note. Every lady will receive a red rose while the gents receive a special gift and that’s not all, they will give you a lift to the Kandy City after dinner if transport is an issue. Call Anil on 0774-820-637 or Dillan on 0774-819-471 to book your tables and culinary adventure before it’s too late. 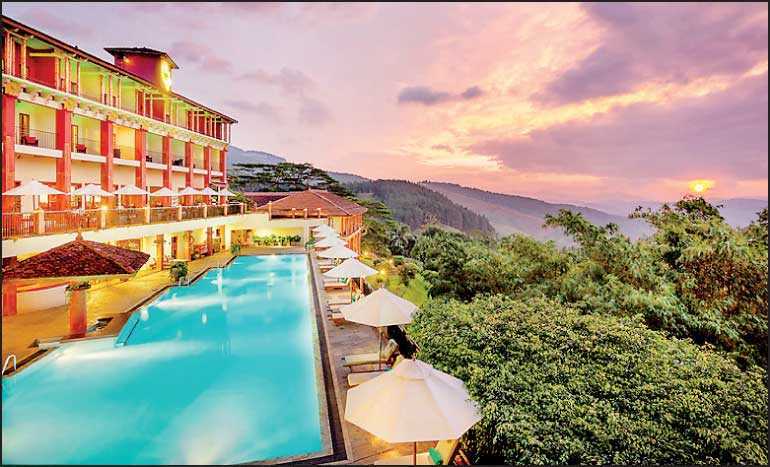 One of the most romantic getaway places for couples is the cool climes of Nuwara Eliya and one of the cosiest small luxury escapes is Amaya Langdale. This beautiful, 13-room resort is known for its unique positions surrounded by a 360 degree and panoramic view of endless tea valleys as well as its temperature controlled pool. For this Valentine’s Day, the chefs at Amaya Langdale have prepared a High Tea with homemade sweet treats and savouries pairing it with a lovely pot of tea for just Rs. 1,500 per person from 3 p.m. to 6 p.m. in the warm comforts of the conservatory or let the natural cool air bring you and your partner together at the Garden Terrace. Embark on a four-course set menu for dinner at the Main Restaurant and Conservatory from 7 p.m. to 10 p.m. for just Rs. 2,500 per person. Call now on +94-524-924-831 or 0766-512-147 to make your reservations. Surrounded by over 10,000 trees and nestled close to the ever calm Kandalama Lake Amaya Signature welcomes its guests to a unique luxurious holiday getaway for two people very much in love. And this Valentine’s Day, the resort has planned out an exquisite five-course dinner at their main restaurant. The dinner is exclusive for the in-house guests and there will be a supplement charge of Rs. 4,500 per person. Take this special day out of the calendar to spread a little extra love to your loved one and share those special moments with Amaya Resorts & Spas.